Tips for Choosing an Auction Company | Wilson Auction & Realty Co, Ltd.
Make sure the auction company has all of the tools needed to sell your items. When you’re hiring an auction company, you should think about more than just the auction itself. Once the auction is complete, an auction company should be able to provide you with everything from attorneys that can help settle disputes to lending agencies that can help buyers complete their end of the deal. If any issues arise following your auction, you want an auction company that will stay by your side until all deals are done. Take a look at how much experience the auction company has overall. How many auctions has a company held in the past? While you might be able to get a better deal by giving your business to an auction company with less experience, that company might not be equipped to hold a successful auction, and it could end up coming back to bite you later. You should check out how much experience an auction company has before hiring them, and if possible, you should speak with others who have worked with an auction company before. Ask an auction company how they plan to market your specific auction. In order to make you the most money possible, an auction company needs to be able to bring in a large number of people to bid on your items. To do this, the company should have a clear marketing plan in place. If for whatever reason they don’t have this plan, you should move on to the next auction company. The last thing you want to do is hold an auction that doesn’t have enough buyers ready to pay for your items. Before you schedule your next auction, Wilson Auction & Realty would love to tell you about how we can help you. 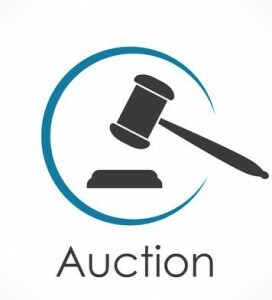 Call us at 866-870-5500 today to learn about the services we can provide to make your auction a complete success.